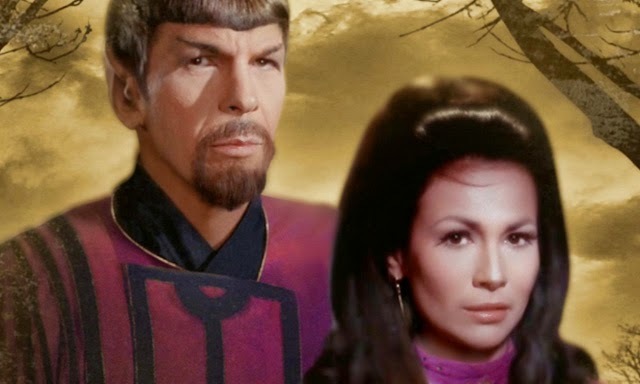 Star Trek Mirror Universe - "The Sorrows Of Empire" Review | Warped Factor - Words in the Key of Geek. 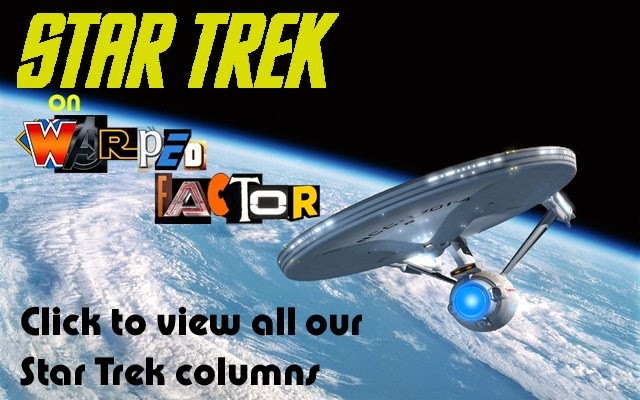 As discussed in last week's column, the Star Trek Original Series episode Mirror, Mirror is amongst the most iconic episodes in all of Star Trek. Its creation of a Mirror Universe, in which the militaristic and conquering Terran Empire ruled in place of the Federation, led to much speculation and exploration in spin-off media in the years that followed. It wasn't until 1994 though, with the Deep Space Nine episode Crossover, that there would be an onscreen return to the Mirror Universe which would reveal that the Empire had fallen in the century between encounters. Exploring how the Terran Empire fell and the role of the Mirror Spock in it is The Sorrows Of Empire, David Mack's 2009 novel set entirely within the Mirror Universe. To do so, the novel covers nearly three decades of history inside the Mirror Universe. Beginning just days after the end of Mirror, Mirror and lasting until two years after the events of Star Trek VI: The Undiscovered Country, the novel (which is in fact an expansion of a novella by the same name published in the 2007 Mirror Universe: Glass Empires anthology) follows Spock as he seizes control of the ISS Enterprise and then begins his rise through the ranks of both Starfleet and the Empire itself. He isn't alone in that journey with “captain's woman” Marlena Moreau at his side and with allies that come to include a number of familiar Vulcans, including his father Sarek. As the reader discovers though, Spock's plans aren't limited to merely rising through Starfleet or to take control of the Empire itself but something far, far bigger in scope, which raise the issues of power and how much of a price is worth paying for a goal, whether it be logical or otherwise. It's in this exploration that the novel is perhaps at its strongest. Especially in its second half where the novel explores the price of Spock's goals as he begins to sanction actions that, even by the standards of the Mirror Universe, seem unthinkable. Yet those issues are raised throughout as the Mirror Spock, through characters such as Sarek and Saavik as well as Marlena, is faced with question after question about his actions and their consequences. It's to Mack's credit that he's able to do so without either slowing down the plot or coming across as heavy handed, yet is able to follow in Trek's tradition of exploring such issues in a science fiction context. Partly because of its being set in the Mirror Universe and the fact that it covers such a lengthy period of time, Mack is able to bring in familiar elements from across Trek and the Original Series era in particular. 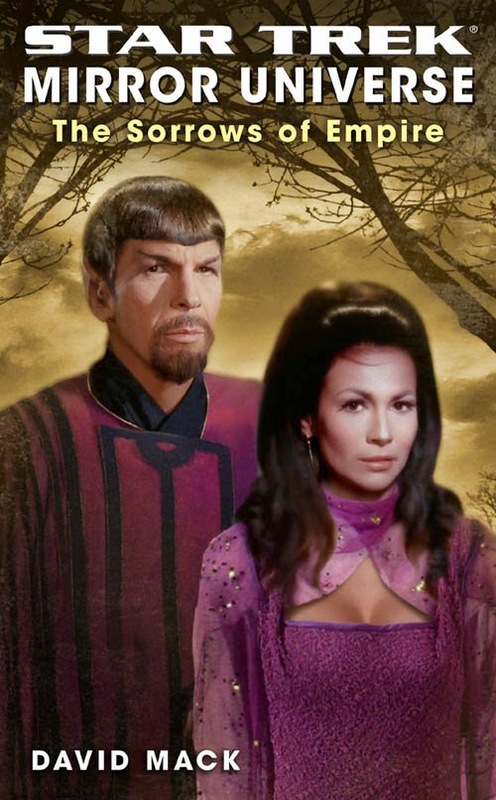 We are afforded glimpses of the Mirror Universe versions of episodes such as The Ultimate Computer and Elaan of Troyius, both of which reveal this Spock's cunning and (in the case of the former) his ruthlessness as well. There's a subplot involving the Mirror Universe version of Vanguard, from the book series of the same name, that becomes quite important as the novel builds towards its climax. We also get to meet the Mirror Universe counterparts of a number of other characters including Saavik, Carol Marcus, her son David, both Matt Decker and his son Will as well as the Klingons Chang and Gorkon from the aforementioned Star Trek VI. These are to name just a few as there are cameos and guest appearances from characters across three different Trek series. The result is a sweeping, encompassing take on one of Trek's most fascinating concepts. Yet that same sweeping, encompassing element is also perhaps the novel's greatest fault. The Sorrows of Empire is told in a series of episodic chapters, with sometimes a single chapter being the sole entry for an entire year. That in itself isn't a problem, nor is the warp speed pace at which it travels. Where that is a problem is that it becomes almost too much at times with so much going on that a reader who might be paying a little less attention than they should might wonder just what is going on. There's also the occasional problem that Mack often tells rather than shows events, with the reader often being given the payoff to something without there really being much build-up for it. Yet these faults are forgivable on the whole thanks to the other things that Mack brings to the table. The characterization of the Mirror Spock especially is strong and it's to the credit of Mack that he's able to make the seemingly unlikely relationship between him and Marlena believable as they go through the ups and downs of more than a quarter century together.